Dr. Cameron Logan, Director of the postgraduate program in Heritage Conservation in the Sydney School of Architecture, Design and Planning. The rise of modern architecture in the twentieth century is inextricably bound to ideas of health, welfare and social progress. The new modern architecture, with its clean lines, functional approach and emphasis on the health-giving properties of sunlight and fresh air, aligned closely with changing medical practices and treatments of the time. Soon, modernist architecture would find its apotheosis in the design of the modern hospital. Ultimately, it was Australian architects who synthesized ideas around the connection of architecture and health into a series of 1930s hospitals that were internationally influential. In this talk, Julie Willis, Philip Goad and Cameron Logan discuss their recent book Architecture and the Modern Hospital, detailing the important role that architecture and design have had on the hospital and the well being of its patients. Drinks and canapes will be served following the event. 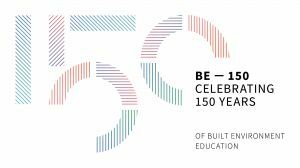 Part of the BE–150: celebrating built environments education at the University of Melbourne 2019 program.